M cDonald's has more than 36,000 restaurants in over 100 countries. And every time I am in a new international location, I head straight for one. It's easy to roll your eyes at the idea of an American getting off of a plane and immediately seeking out a McDonald's. "Half the point of visiting a new country is to try the local food," you might say. But that is exactly what I am doing. I’ve seen the Le Croque McDo in France, their version of a Croque Monsieur. I’ve had the masala fries in India and the McNifica in Peru. 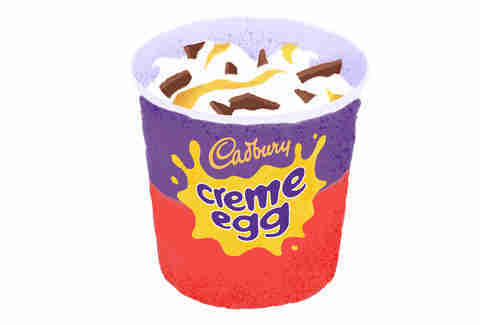 In Ireland, I ordered a McFlurry filled with Cadbury Crunchie bars. McDonald’s is not adventurous. What they put on their menu is what they know will sell, the most basic versions of whatever is popular locally, or standard McDonald's items but with a small local twist. In doing so, it reflects a country’s values. To know what’s important to a country’s food culture, go to their McDonald’s and you'll find it in a distilled, neatly wrapped, easy-to-order format. Tell me what you ate at McDonald’s, and I’ll tell you where you've been. When Ray Kroc took over McDonald's operations, his dream was to “serve burgers, buns, fries, and beverages that tasted just the same in Alaska as they did in Alabama.” The same menu, made the same way, anywhere in the world. 2016's The Founder depicts Kroc as intransigent when it came to this vision, rebuking franchisees who dared stray from the menu of burgers, fries, sodas, and shakes. If it couldn’t be standardized across every location, it couldn't appear on the menu. Kroc explained the success of his decision in The Business Behind the Golden Arches. “While the company’s menu is limited, it contains staples that are widely accepted in North America,” he said. “It is for these reasons that demand for its products is less sensitive to economic fluctuations than most other restaurant formats.” Essentially, trends come and go, but burgers and fries are forever, and he was here to bank on what Americans would eat no matter what. But that was in America. Elsewhere, McDonald’s has had to adapt to thrive. According to Emelyn Rude, food historian and editor of Eaten, the global success of McDonald’s can partially be chalked up to providing the same American menu everywhere while also adapting it to local markets. “It’s making American food more palatable to other countries, while we as Americans are so excited to see American food twisted,” she said. Some of that was by adapting “to the social context of each country by franchising to local entrepreneurs,” noted Forbes, a strategy known as “glocalization.” It is something McDonald's is uniquely great at, compared to many other American chains. Rather than insisting the restaurants serve American products all the time, McDonald’s franchisees could change their menus to suit local tastes and dietary needs. And the results, are frankly, delicious. In Israel, McDonald’s often has separate kitchens to keep food kosher, and separate meat and dairy menus. 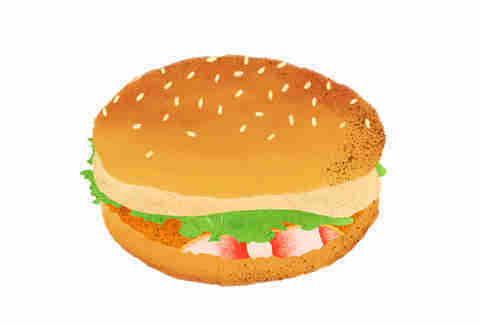 In India, beef burgers are replaced by the potato-based McAloo Tikki and the Chicken Maharaja Mac. In China, McDonald's serve fried chicken to compete with the immense popularity of KFC. Tell me what you ate at McDonald's, and I'll tell you where you've been. Perhaps the best example of glocalization is the McFlurry. The basic concept -- soft serve swirled with broken up bits of candy -- remains the same, but the mix-in options is chosen based on its popularity in the country. In Sweden, the dessert is flavored with Toblerone. In the Netherlands, stroopwafel. In Singapore, with black sesame and cereal. In the UK during Easter, with Cadbury mini eggs. Rude recalled a friend once ordering a nasi lemak burger in Malaysia, a take on the national dish. The nasi lemak burger is currently being advertised with Bandung soda, a coconut pie, and a Chendol McFlurry. “Just for you, Singapore!” cried the ad copy. The thing is, however, that it’s not nasi lemak, the popular rice dish. It’s a nasi lemak burger, and depending on where you’re coming from, that’s either an exciting departure from tradition or an entry point into an unfamiliar cuisine. 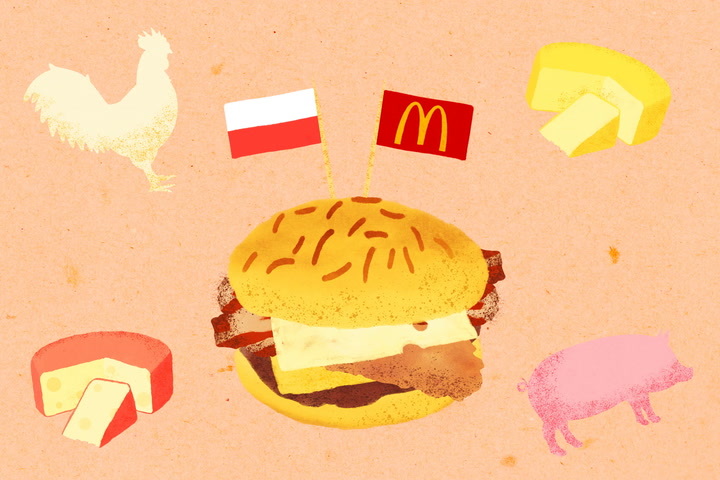 The first point is important for McDonald’s -- there’s a reason they went with a burger-ized version of Malaysia’s national dish instead of a regional delicacy -- but the second is what makes hitting up a McDonald’s on vacation so great. When I lived in Rome, my apartment happened to be across the street from McDonald’s, and when I craved a taste of home (yes, despite being surrounded by seemingly boundless amounts of pasta and cheap wine I did want something different on occasion), I’d go in and grab some fries. They were the same fries I ate when I was 5 and 15 on road trips and weekends when my dad didn’t feel like cooking. But I’d also grab a Baci McFlurry, because literally, when in Rome. It was just enough to take me out of the existential dread that I was spending my time living in a foreign country going to a freaking McDonald’s. This way, I was still sampling the culture -- in this case ice cream mixed with a beloved local chocolate. When I asked friends (OK, my Twitter account), if they had entered a McDonald’s while traveling, my feed lit up with excited accounts of things like fried cheese bites with dill sauce in the Czech Republic and a sesame shrimp burger in Japan. Others dreamed of a day when one McDonald’s would serve every international delight -- a fast-food Epcot. It was clear that I wasn’t alone in my obsession. It's an exciting departure from tradition or an entry point into an unfamiliar cuisine. And while in America, McDonald's is frequently equated with poor quality -- a meal that is cheap in price and ingredients -- that is not always the case abroad. In France, for example, due to various agriculture and food laws, McDonald's must use beef from higher quality grass-fed cows and not the subpar corn-fed cows use in the States. Fast food there can also be a good food. All the more reason to pay a visit to an international location. The ubiquity of McDonald’s is certainly a sign of globalization and the Americanization of culture. But Rude offered up a compelling counterpoint. "You can view it either way: The insidious American evil infiltrating the market and knowing how to extract money from the people, or you can see it as benign, like we’re giving the people what they want, and what they want is masala fries," she says. "I think both are true. We’re not force-feeding people McDonald’s... and at the same time we’re doing a really good job of making it available for them to eat." Either way, you will still find me at the local McDonald's, glocalized McFlurry in hand.